Product prices and availability are accurate as of 2019-04-21 08:55:29 UTC and are subject to change. Any price and availability information displayed on http://www.amazon.com/ at the time of purchase will apply to the purchase of this product. 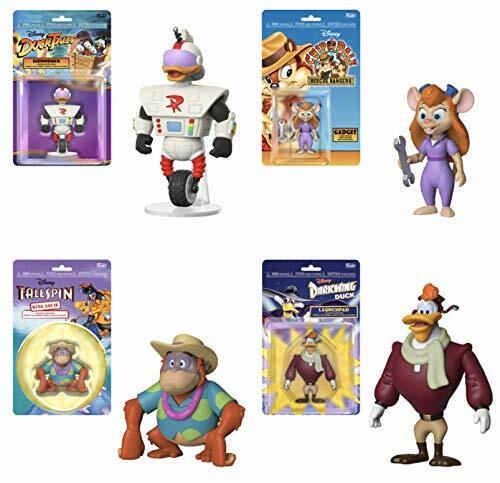 Relive the glory of youth and afternoons spent watching your favorite Disney cartoons. 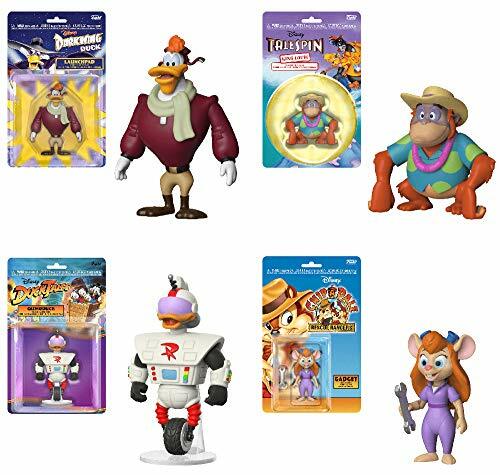 Better still, reenact moments from your favorite shows with these Disney Afternoon action figures. Gizmoduck needs your assistance stopping crime. Gadget's more than capable of flying the Rescue Rangers in and out of danger, and keeping their plane in tiptop shape between adventures. King Louie's probably taking it easy at Louie's Place, if you happen to need him for some amiable conversation. And Darkwing Ducks' pilot Launchpad McQuack is an eager and able sidekick.